The body can normally manufacture the biochemical carnitine; L-carnitine, one of two types, is present in beef, chicken, fish, dairy products, grains and legumes and is available in supplement form. Carnitine helps the body metabolize fat and may be effective in treating a host of illnesses, including heart disease, diabetic neuropathy and hyperthyroidism, according to the University of Maryland Medical Center. It is not an appropriate treatment for hypothyroidism, however, and may worsen the condition. The thyroid is a gland at the base of the throat that controls a variety of functions in the human body, including metabolism, body temperature regulation and heart rhythm. It produces two hormones, triiodothyronine and thyroxine, and is regulated by a third hormone, thyroid-stimulating hormone, which is produced in the pituitary. Hypothyroidism, or an underactive thyroid, can cause a host of symptoms, including weight gain, fatigue, paleness, dry skin, sensitivity to cold and depression. According to the University of Maryland Medical Center, carnitine is successful in treating hyperthyroidism possibly because of its ability to block the effects of thyroid hormones – a potentially dangerous effect for people suffering from an underactive thyroid. The medical center stresses that more study is needed; at the time of publication, there was no definitive proof of the effects of carnitine on hypothyroidism. 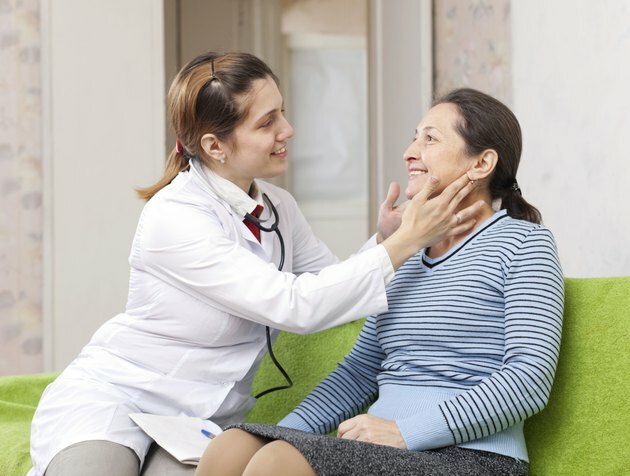 Those suffering from the condition should allow their physician to monitor their thyroid levels regularly and should not attempt self-medication with any supplements, including L-carnitine, without discussing the issue with their doctor.